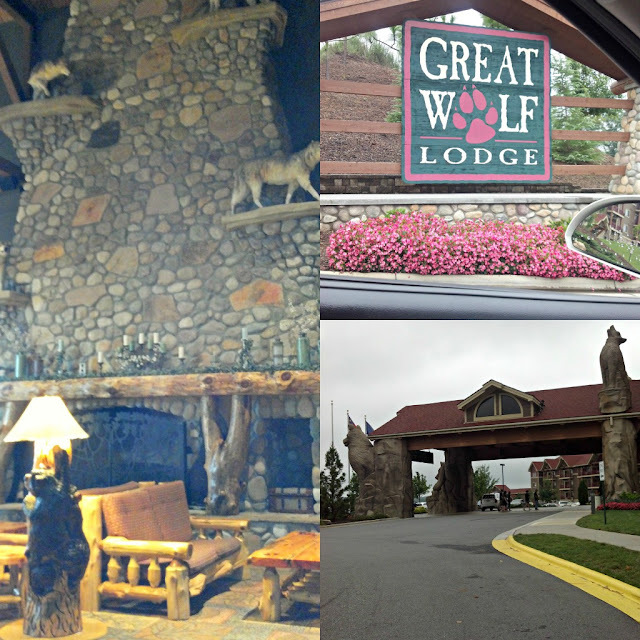 We had the great pleasure of experiencing Great Wolf Lodge (Concord, NC) to end our summer off with a splash! Unfortunately, the weather was not the best but it did not stop our adventure. Lucky for us, Great Wolf Lodge has an amazing indoor water park that is kept at a comfortable 84 degrees. Before I go into that, I will start by telling you our first impression when we drove up to the resort. The entire family fell in love with the beautiful grounds and the enormity of the resort. The gorgeous wolf statues were huge! We were promptly greeted by a gentleman at the front entrance and directed to our parking spot. Then we entered through the front doors and immediately started oohing and ahhing. It was so beautiful inside, almost overwhelming at that! Our experience at the check-in desk was fast and the clerk was extremely professional and helpful. We felt as if we were the only guests on the property with the type of customer service we received. Truly first class! Once we got our wristbands and room information, we headed up to our Family Suite. What a lovely suite it was! I can't begin to tell you all how clean and pretty the room was. 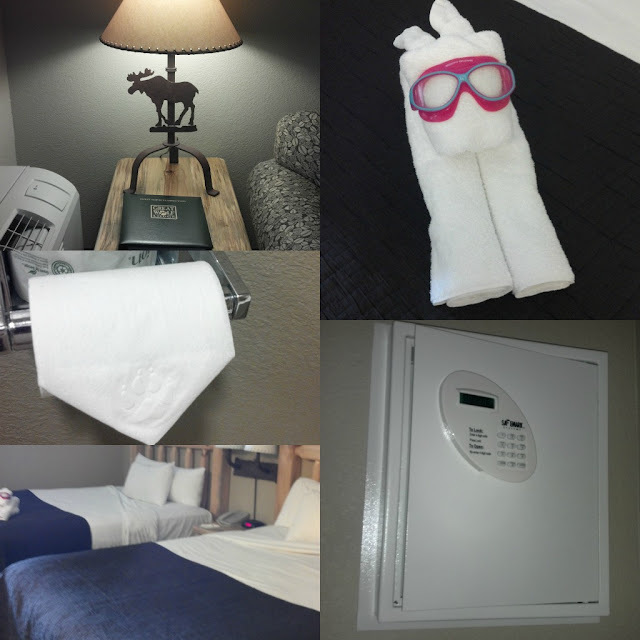 There were so many wonderful details including the signature wolf towel on one of the beds, rustic decor, an in-suite safe, microwave/fridge/iron & ironing board, balcony with table and chairs and one of my favorites... the signature paw print embossed toilet paper. You can absolutely tell how much the resort management and staff care about their guests by how immaculate the property is inside and out. We had an abundance of towels, blankets and extra pillows. The beds were so comfortable and we slept soundly. We were amazed at how quiet it was in our suite since the resort was super busy and packed with so many families. Another great plus is how environmentally friendly the whole facility is by having recycling bins in each suite as well as all over the resort. Even the hair dryer in the room had green standards! The hubby loved the balcony and enjoyed catching up on some reading and of course, sipping on his Dunkin Donuts coffee. The resort had so many food options to satisfy every family member. Believe me, we tried almost every spot! We had everything from pizza, ice cream, doughnuts, salads and so much more. I think our favorite place was the sweets and bake shop. Hey, we were on vacation! Although this is not my photograph, I wanted to show you what the indoor water park was like. Truly amazing and everyone had a blast! There was something for every age. The water slides were incredible and the outdoor pool area was very nice and lots of fun! It was almost impossible to get the kids out of the water. Something I noticed was that EVERY lifeguard on duty was very focused and constantly looking around to make sure all the guests were safe. That truly made us feel at ease, especially with a 4 year old that can't swim yet. The other big highlight of our visit was the Northern Lights Arcade. We ALL had so much fun and I can't remember the last time I laughed that much, non-stop! There were so many other activities but we did not have the time to do everything. We are planning to visit again when it is during the off-season. Little William loved the story-time at night at the big Clocktower. He was completely mesmerized. He still continues to howl "Great Wolf style", as he likes to put it. 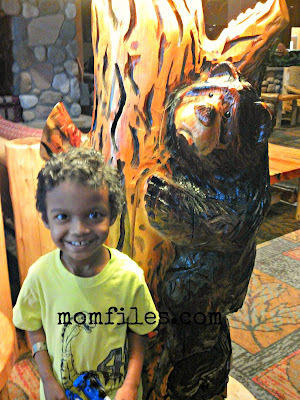 It was hard to get really clear photos with all the crowds and chaos going on but overall, we had the most wonderful experience at Great Wolf Lodge. I truly could go on for hours telling you even more but you need to go check it out for yourself. You and your family would NOT be disappointed! 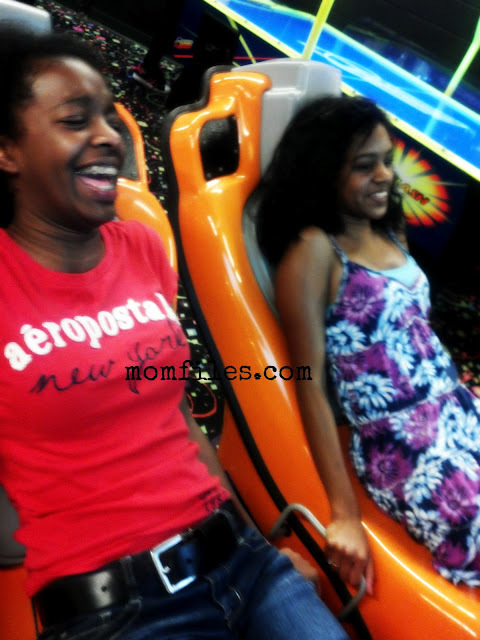 This was the most fun family getaway we have ever been on and we can't wait to do it again! We want to give a big thank you to the entire Great Wolf Lodge staff for making us feel so welcome and comfortable. There was never a moment that we did not hear "We hope you enjoy your stay". That we did! 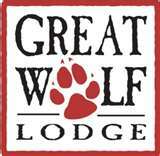 Stay connected with Great Wolf Lodge via the web, Facebook and Twitter for discounts and deals. 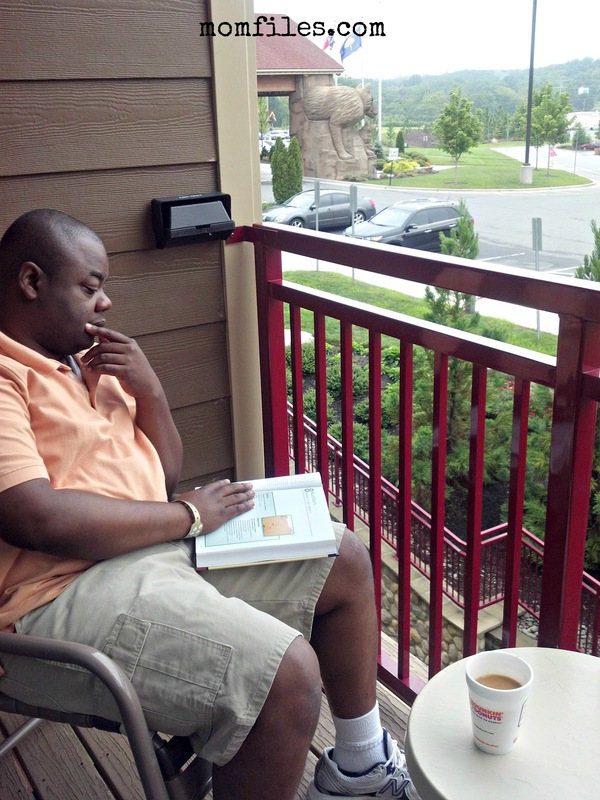 I received a discounted rate from Great Wolf Lodge and all thoughts/opinions are 100% my own. Looks like your family really had a good time. That looks like a really fun trip! I've heard lots of good things about Great Wolf.